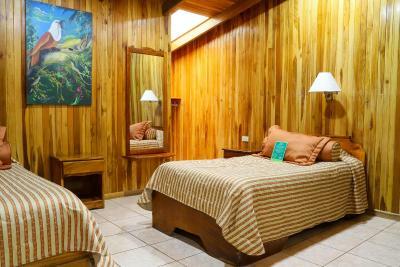 Lock in a great price for Los Pinos Lodge & Gardens – rated 9.1 by recent guests! 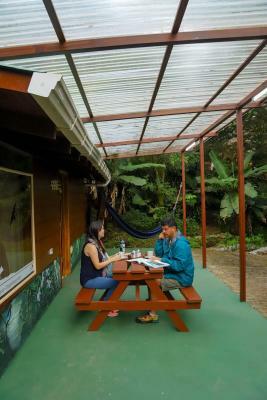 The architecture of the Superior Cabana was very bright and easy to cook a meal and look for animals at the same time.The deck was great for spotting animals which would walk right by the house at any time of the day. Property has several trails that are very nice. 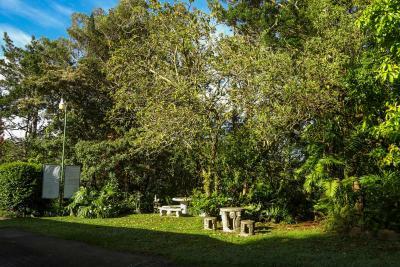 Lovely grounds with hiking trails and a vegetable/herb garden that is available for guest use. Staff was exceptional...Jeffrey (spell? ), you're the best host ever! Thank you for taking care of us. Raphael and all of the staff were so very nice and helpful. You can tell they are all very interested in keeping Los Pinos very nice. He showed us where to look for some of the birds and animals. 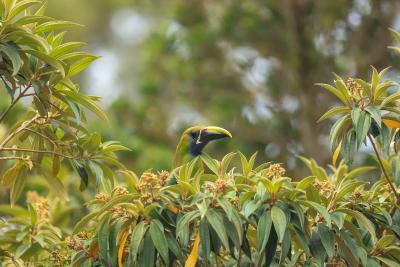 Fun to walk around the grounds spotting the wildlife. 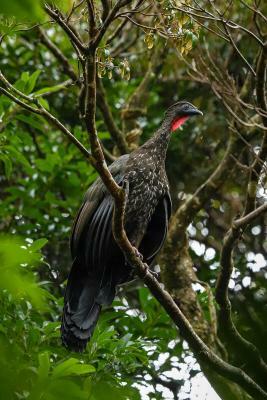 Raphael helped us to arrange our transport to Selvature for the hanging bridges and reserved us with an outstanding guide from Three Brothers Tours for a bird watching tour in the MV Cloud forest reserve. What a great time we had. Independent cabins are placed into the woods and therefore contact with nature is close and permanent. 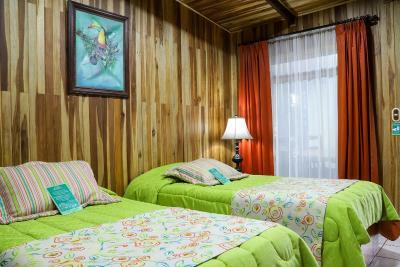 Nice trails, junior suite was very nice, able to prepare meals, nice deck, close to reserves and downtown. Beautiful and spacious cabins, owned and maintained by a family. Friendly and helpful staff. 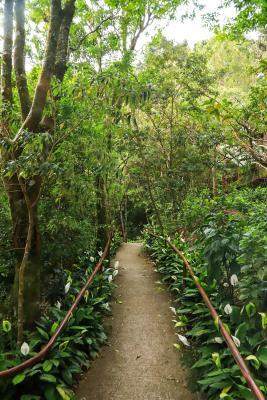 Good hiking trail within the property and also a big hydroponic vegetable and herbal garden. 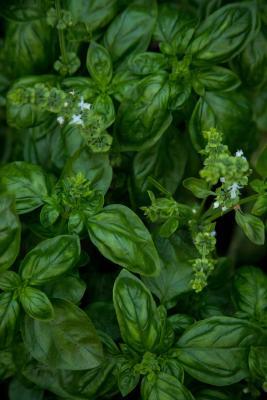 You can't get anything fresher than that. Strongly recommend this facility. Great location and scenery. Convenient walk to town. The pride of family ownership is obvious, and very helpful. Loved the Superior “room” which was a large and beautifully designed Casita. The fireplace was wonderful for the chilly evenings! 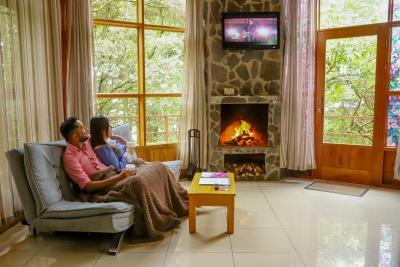 Los Pinos Lodge & Gardens This rating is a reflection of how the property compares to the industry standard when it comes to price, facilities and services available. It's based on a self-evaluation by the property. Use this rating to help choose your stay! 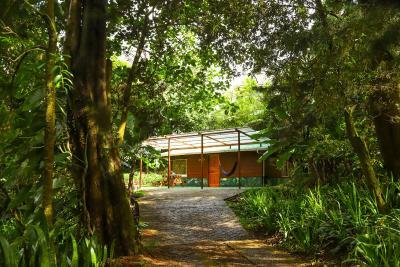 One of our top picks in Monteverde Costa Rica.This eco-friendly property located in Monteverde Costa Rica, offers lush gardens and well-equipped cottages with free Wi-Fi at the lobby and mountain views. 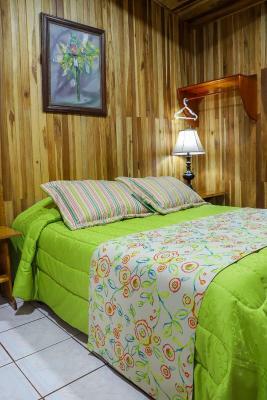 Los Pinos - Cabañas & Jardines is located in Monte Verde, just 0.6 mi from Santa Elena town. 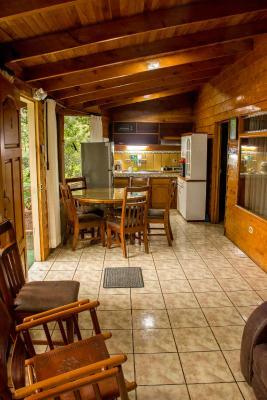 Each Los Pinos cottage features a private terrace, a flat-screen TV and a fully equipped kitchen with a microwave and fridge. The private bathrooms come with a hairdryer and free toiletries. 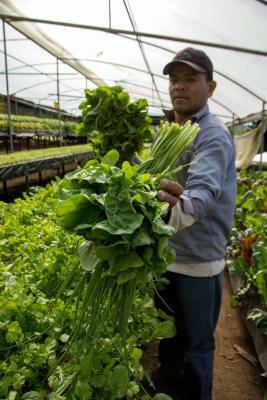 Guests are welcome to harvest fresh vegetables from the property’s hydroponic garden. 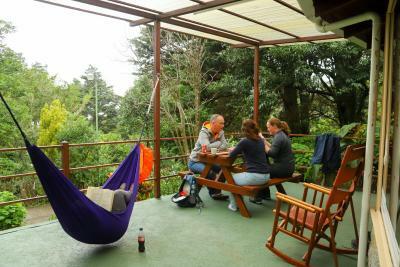 You can also find local restaurants in nearby Santa Elena. 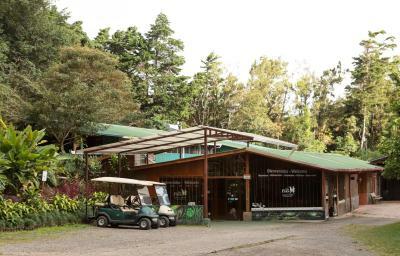 Los Pinos - Cabañas & Jardines offers free on-site parking. 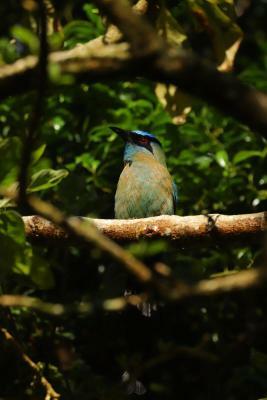 The Monteverde Cloud Forest is 3.1 mi away, while Liberia Airport is within a 3-hour drive. 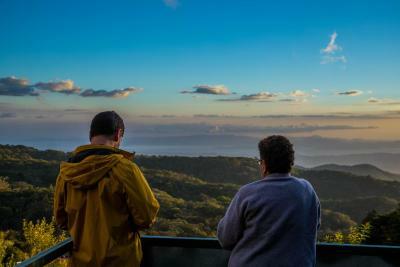 This is our guests' favorite part of Monteverde Costa Rica, according to independent reviews. 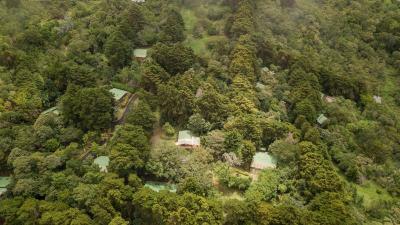 This property also has one of the top-rated locations in Monteverde Costa Rica! Guests are happier about it compared to other properties in the area. 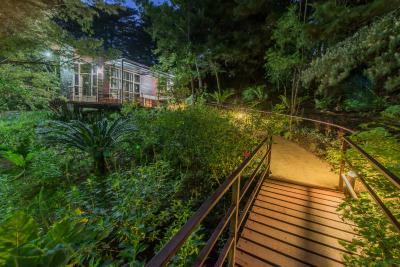 뀐 Located in the top-rated area in Monteverde Costa Rica, this property has an excellent location score of 9.3! 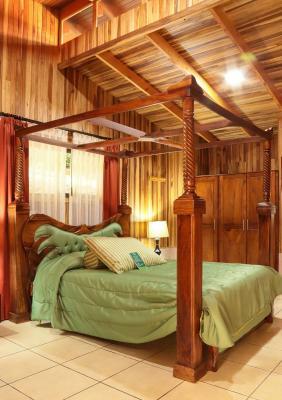 When would you like to stay at Los Pinos Lodge & Gardens? 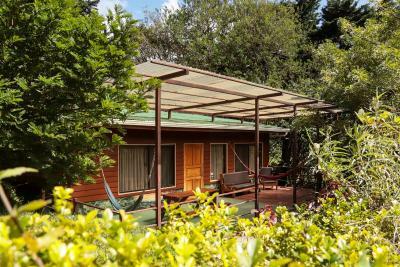 This well-equipped wood cottage features a private terrace with wonderful mountain and garden views. 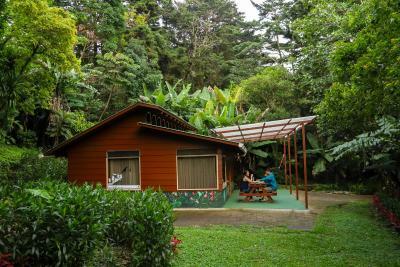 It has a living-dining room with a flat-screen TV and fireplace, free Wi-Fi and a full kitchen with a microwave and a fridge. The private bathroom has a hairdryer and free toiletries. 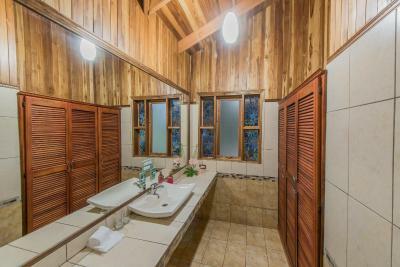 This well-equipped wood cottage features a private terrace with wonderful mountain and garden views. 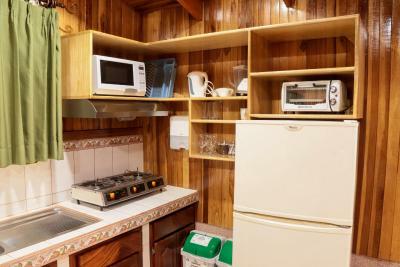 It has a flat-screen TV, free Wi-Fi and a full kitchen with a microwave and a fridge. The private bathroom has a hairdryer and free toiletries. 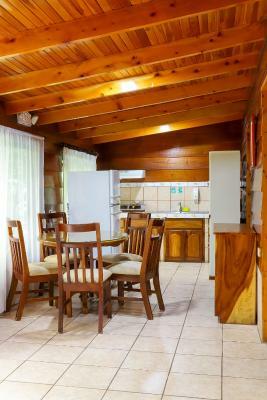 This well-equipped wood cottage features a private terrace with wonderful mountain and garden views. 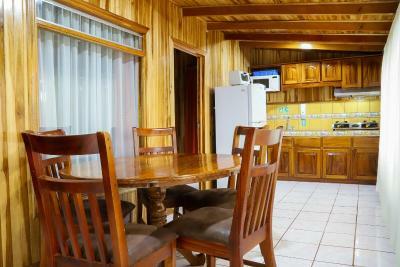 It has a living-dining room with a flat-screen TV, free Wi-Fi and a full kitchen with a microwave and a fridge. The private bathrooms have a hairdryer and free toiletries. This spacious cottage has a kitchen, private entrance and sofa. 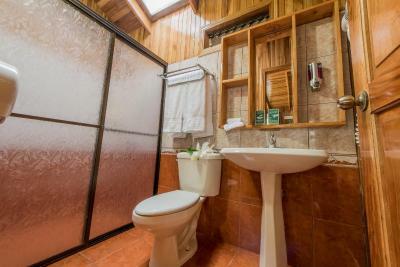 Each bedroom also has a private bathroom and shower with hot water. 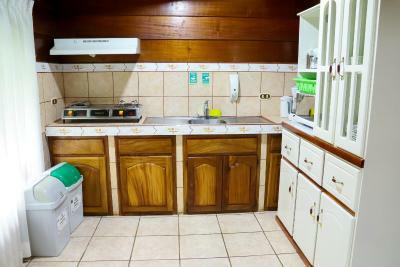 This double room has a private entrance, kitchen and electric kettle. 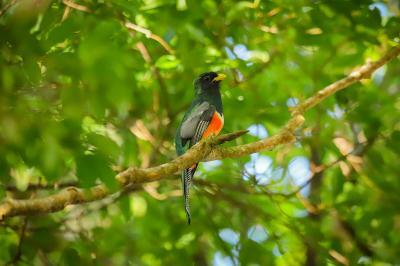 Our 19.7 acre property is a private reserve that makes part of the Bell Bird Biological corridor, allowing for great flora and fauna diversity onsite. 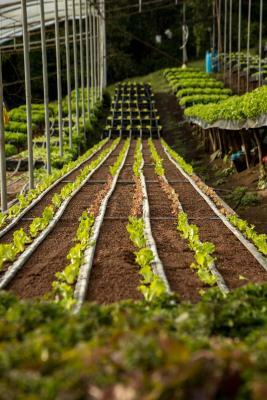 It has trails, native gardens a hydroponic vegetable farm and a beautiful look out point. Visit us! 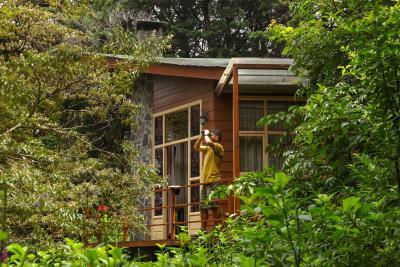 House Rules Los Pinos Lodge & Gardens takes special requests – add in the next step! 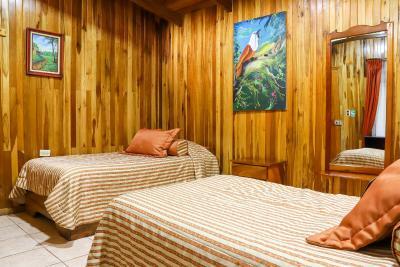 Los Pinos Lodge &amp; Gardens accepts these cards and reserves the right to temporarily hold an amount prior to arrival. 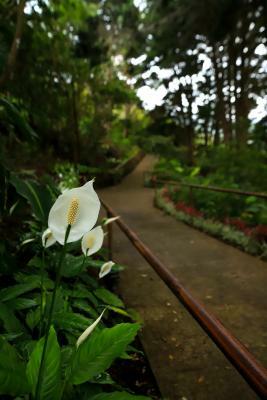 Los Pinos Lodge & Gardens accepts these cards and reserves the right to temporarily hold an amount prior to arrival. 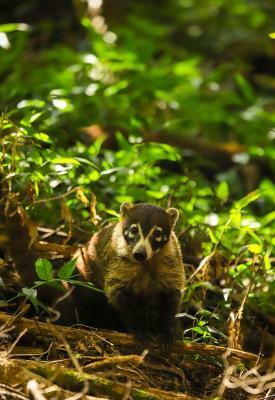 Please inform Los Pinos Lodge & Gardens of your expected arrival time in advance. You can use the Special Requests box when booking, or contact the property directly using the contact details in your confirmation. 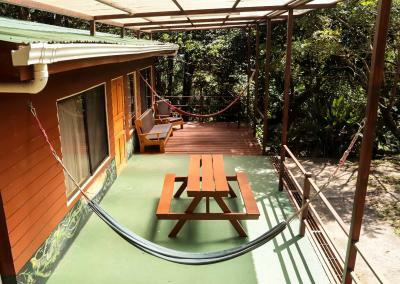 Lovely natural surroundings, including the onsite nature trail (spotted an armadillo and agouti at dusk) Our Family cabin, though a little dated, had plenty of space to spread out and we loved the outdoor deck with picnic table and hammock. 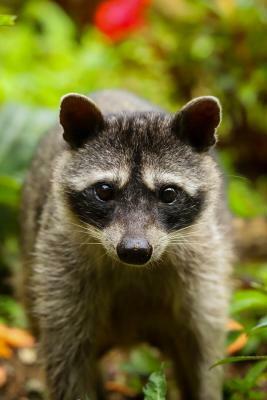 Great natural toiletries provided. 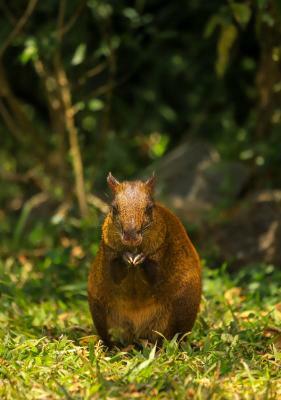 Good location for visiting the national park and private reserves and easy to get into "town" to eat at night. Nice place to stay! 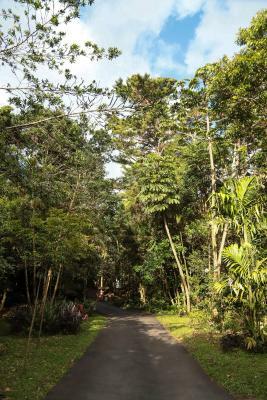 Close to all activities and you feel the nature around! Their point of view is amazing! Shower. Bugs in the room. Can’t control temperature in the room. Did not like anything about the property. 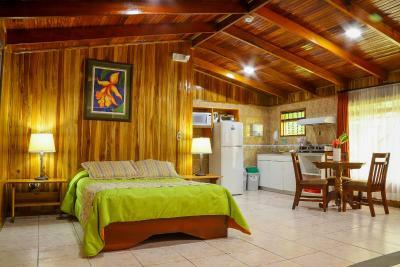 We stayed in 8 locations in CR and this was one of top accommodations. Highly recommended. Staff so helpful and friendly. Chalet good size. Absolutely excellent value. Very kindly staff, great value for your money. Good location in the green forest.